Have you ever think about every day of homeless people? It does not sound very tempting, right? I could not believe my friends who several times recommend me guided walks with formerly homeless people. But I must admit, I found it super interesting. 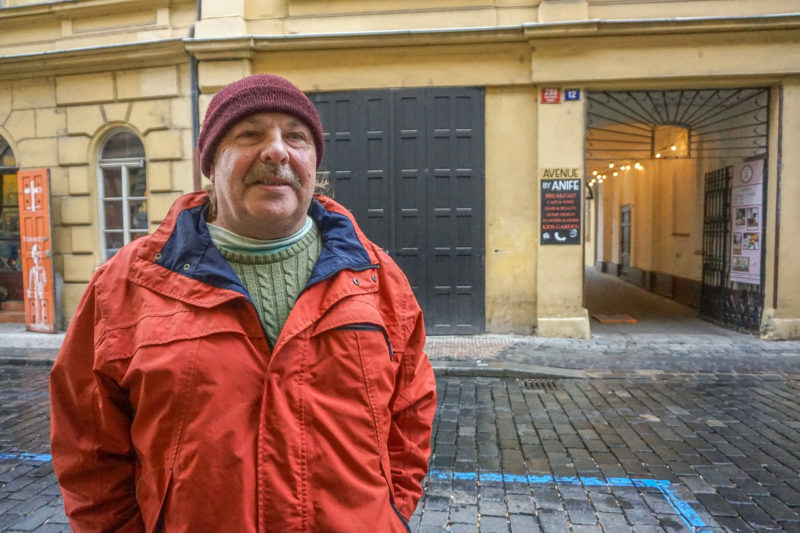 Pragulic offers about seven different guides with a homeless experience that range from alcoholism, prostitution or drug scene. Do you know where the homeless people usually stay overnight, where is the hotspot for prostitution or which places are famous for drug dealers? 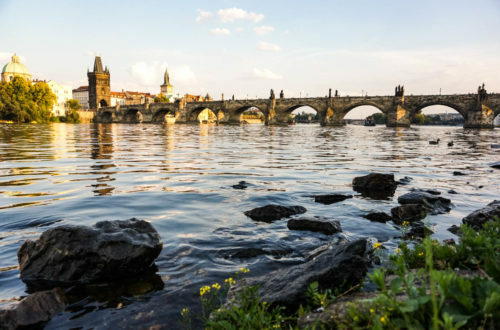 Do you think you already know Prague well and nothing can surprise you? You will be surprised in many ways, and you might get a completely different perspective to homeless people and their lives on the street. My friends already know that I love to discover Prague from different angles. However, the issue of homelessness does not sound as very tempting experience. By coincidence, I found an article in Forbes about the founder Tereza Jureckova, and it convinced me that I must try it. 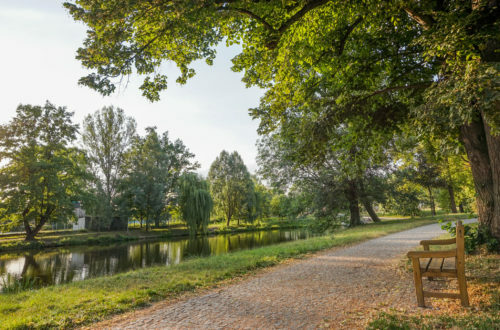 During the past few months, I joined Vojtěch, Aleš, and Karim for their walks around Prague. 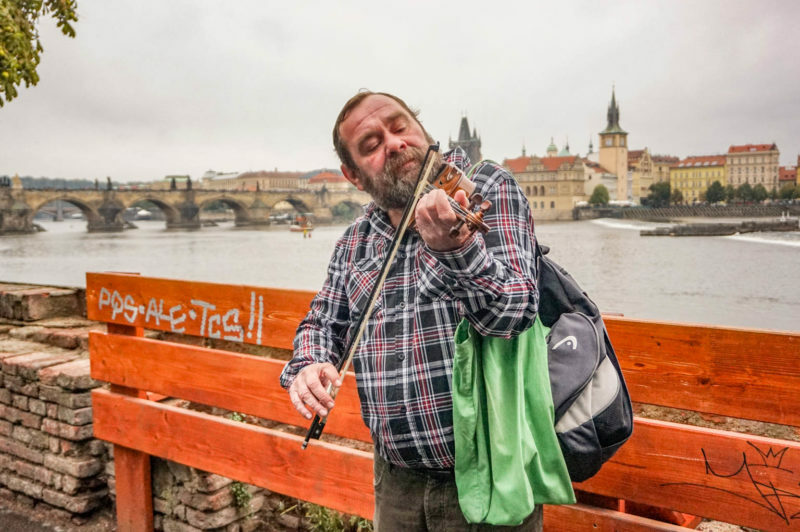 Vojtěch is a former Prague Philharmonic musician who played violin around the world but then became addicted to alcohol and lost his home. He took us around Kampa island (find an article here), showed us Prague Conservatory school, and guided us until the Estate Theatre in the city center. During the walk, we enjoyed his violin performances in beautiful surroundings alongside the river. Aleš grows up in communist Czechoslovakia where he experienced repressions and beating of secret state police. After this experience, he emigrated to the United States in the 1980s and came back to the Czech Republic for serious brain surgery. 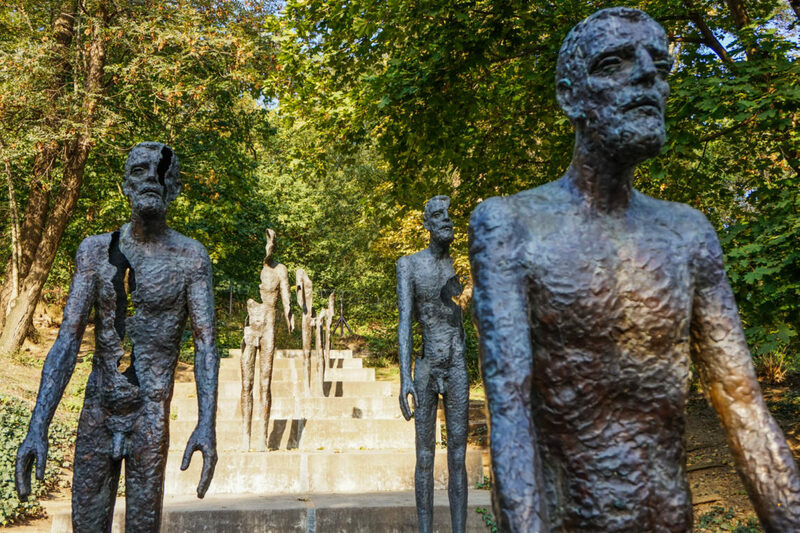 His walk is dedicated to Prague under the Communist regime, and he will show you places where secret police operated. Karim shows us the Prague underworld from the first-hand. Make sure to book his tours well in advance since the waiting time might be several months. Karim’s walk starts by evening and lasts almost until 1 am. In this way, we discovered Prague underworld by night with its prostitution and drug scene. Karim started his life on the street in the age of 16 with prostitution that takes until 1997 when one of his clients infected him. 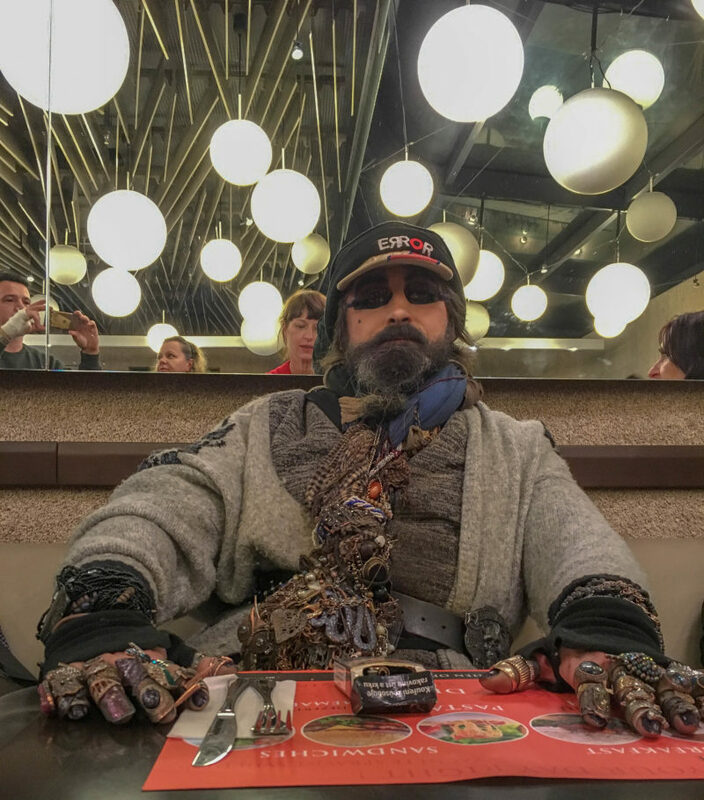 He will take you from Prague main railway station until the Charles Bridge, and you will discover places that you never think that might exist. You have even options to join Jiri, who will tell you a story of an educated man who ends up on the street because of alcoholism. Helca shows you Prague from the perspective of prostitution and the drug scene. 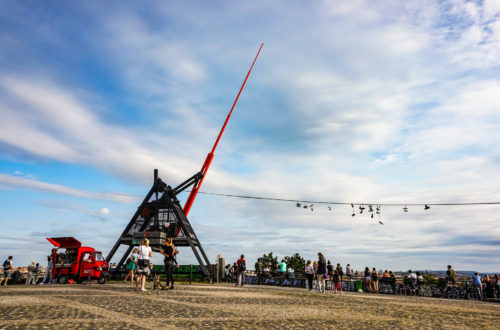 Robert takes you on a trip by train from Prague to the Cibulka vineyard where squatters find their home and the whole area gained a new life. All the tours are in Czech with possible translation into English. The only exception is a tour by Aleš that is provided solely in English. It might sound crazy, but you can even buy a 24 hours homeless experience, book teambuilding especially targeted for the corporate world or underwent a homeless challenge. Have a look at the webpage here. However, as much brave you are, I would recommend starting with simple tours.